And now, three vehicles, all named after beetles! First off, the car of my dreams- the 1936 Stout Scarab. 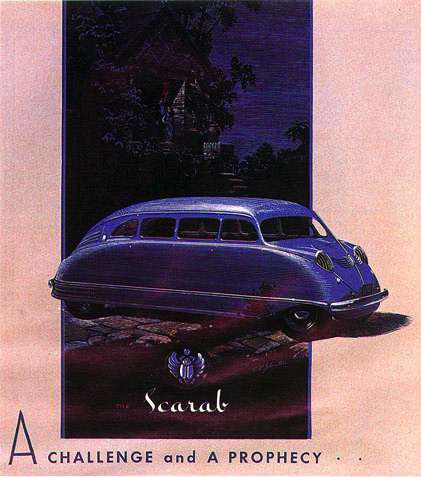 Yes, there's more than one car named after an insect, and the Stout Scarab is a beaut! 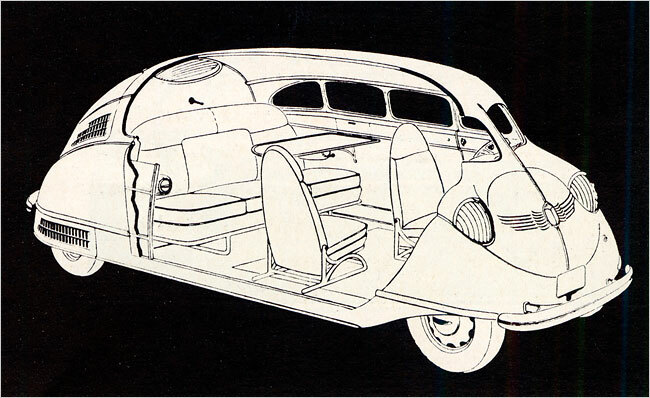 Hoping to eliminate wasted space, American inventor William Stout envisioned a "mobile office", with a roomy interior, swiveling seats, foldout tables, all made possible by a rear-mounted engine and other innovations brought in from his aviation background. 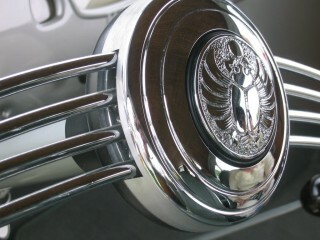 Looking very much like an art deco observation train car, and a spiffy winged scarab motif, plainly visible on the front of the car, as well as the steering wheel. 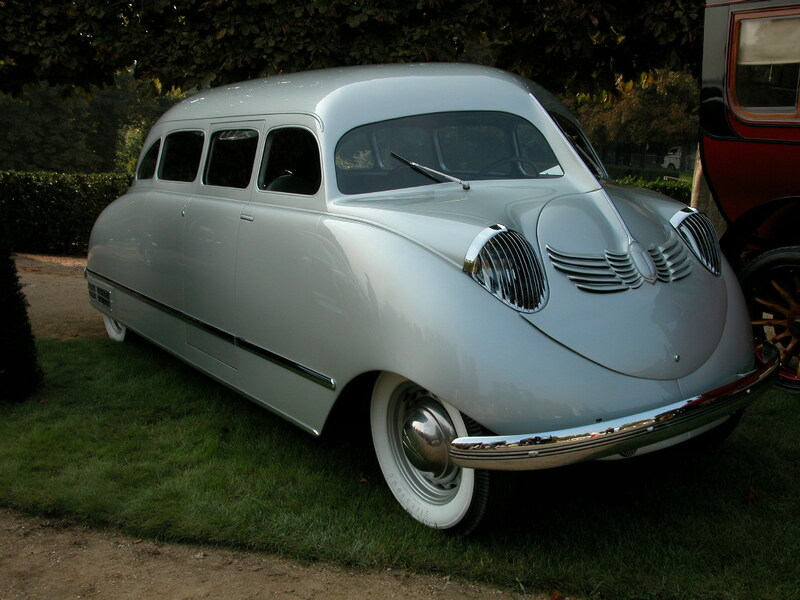 Even though today it is considered an artistic masterpiece of forward engineering, the car was considered ugly at the time, and had a steep price for Depression-era pocketbooks. Only nine of these magnificent cars were ever made, and of those only 5 exist today. In the late 1950s, engineers were trying out all sorts of vertical-take-off-and-landing aircraft, for military and commercial use. Enter the French Coléoptère, an experimental aircraft designed to to rocket up, fly horizontal, then land vertically again. "With a full annular wing, an enclosed cockpit, and a seat that tilted forward to allow the pilot a nearly upright position during hover, the Coléoptère soon attained celebrity status. Catherinettes —French bachelorettes who annually advertised their single status by wearing eccentric hats— donned papier-mâché Coléoptères." Sadly I cannot track down any images of these chapeaux d'insectes the young ladies wore. But at least I can find more photos of the short-winged (and short-lived) Coléoptère. Though innovative, like many coleopterans it did not last the year. After eight test-flights, the craft started oscillating wildly on its ninth, and spun out of control. 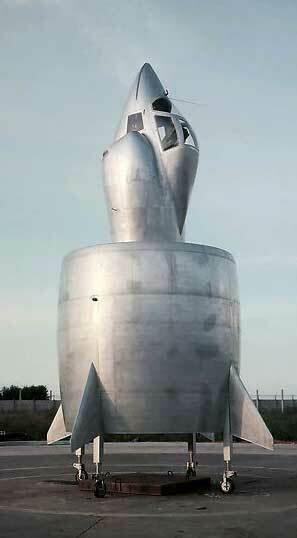 Before it crashed the pilot managed to eject, but was badly injured, and the program was scrapped. The Smithsonian has a nicely detailed article here. 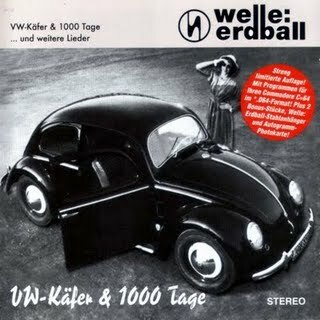 This entry was posted in music, photography and tagged beetle, car, plane. Bookmark the permalink.